Distracted driving is probably the biggest single threat facing American drivers today. With our phones constantly by our sides, our devices never switched off, and seemingly less and less time to accomplish even simple tasks such as eating breakfast, we are faced with temptation to drive distracted from just about every direction. Without a doubt it is a nationwide—even global—problem, that we will have to work together to eradicate. But how do we accomplish this seemingly impossible task? Here are five possible solutions to the distracted driving problem. Right now there are laws in most states against texting while driving, and while this is a good thing, we still have a ways to go if we want to make them effective. Many states still permit talking on the phone while driving, and often texting or other phone use laws are only secondary offenses, meaning that police officers are only really able to tag them on after pulling someone over for something else. If we really want to stop distracted driving, we need to tackle it first of all in the courts. Most people are aware of the dangers of using one’s phone while behind the wheel, but texting or browsing on a device is not the only way that a driver can be distracted. Distracted driving is defined as anything that takes your hands, eyes, or mind off of the road. So whether it is eating a sandwich, doing your makeup, or even talking to a friend in the car, these are all different kinds of distracted driving, and more people need to be made aware of them. Since technology has developed quicker than anyone can really keep up with, there was no precedent set for the kind of education that new drivers would need regarding distracted driving. There are many people on the road who learned to drive before cellphones were even invented. As such, education is a necessary part of reducing distracted driving. Start with the young—requiring every school-aged child to learn about it—and then perhaps expanding to people who already hold a license. 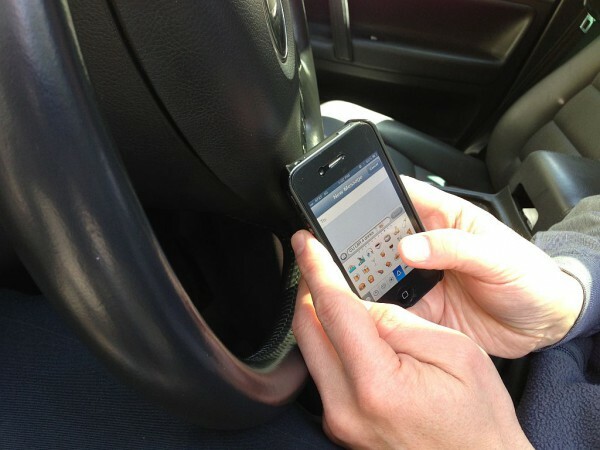 Drivers often have the best intentions, but since many of us are literally addicted to checking our phones, it can sometimes be easy to forget NOT to check your phone while you are driving somewhere familiar. In this case, all it would take is a simple reminder—such as a red fingernail—and a lot fewer accidents would occur. If the law cannot change people’s habits, perhaps a good incentive will. Even if it is just something as simple as an app that rewards you when you put your phone into “driving mode,” it could go a long way towards encouraging drivers to set their phones aside. Obviously none of these are perfect solutions, and distracted driving is not going away anytime soon. But with the right movement, we can all work together to create safer roads for us and those drivers to come.